The National Youth Development Agency (NYDA) has welcomed the announcement by Higher Education and Training Minister Naledi Pandor to allocate nearly a billion rands for scrapping historical debts for National Students Financial Aid Scheme (NSFAS) funded students. The National Student Financial Aid Scheme (NSFAS) says it is concerned and alarmed that students from Ehlanzeni Technical and Vocational Education and Training (TVET) College have been compelled to find accommodation in public libraries and police stations. Government funding agency NSFAS has helped thousands of students pursue their academic goals this year however not everyone was lucky enough to qualify. In fact the latest reports reveal that 65 000 applicants were unsuccessful. The National Student Financial Aid Scheme (NSFAS) has expressed concern at media reports of non-payment of allowances for students at University of South Africa (UNISA). NSFAS is looking to employ graduate interns in the fields of Human Resources/Industrial Psychology & Finance/Accounting. NSFAS offers student loans and bursaries for students who qualify. We have details on how you can appeal if your application is refused. 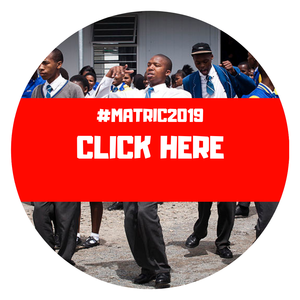 The National Student Financial Aid Scheme (NSFAS) has announced the completion of all assessments of the 2019 applications of first time students. Applicants who have applied to the National Student Financial Aid Scheme (NSFAS) for funding in 2019 without submitting all supporting documents have until Friday, 14 December, to submit all required documents. Deciding to get a tertiary qualification is a big commitment, both financially and in terms of the time and effort you’ll need to invest to get your degree or diploma. ADVERT: Newest Full Qualifications Offered At Academy Training Group!